Powerball (and Powerball Plus) in the Republic of South Africa has changed number format to add 5 more balls to the number-field. It is now a 5/50+1/20 game (previously 5/45 + 1/20). On June 16, 2018, the first drawing under the new format was held. The odds of winning the game are up to one in 42,375,200. 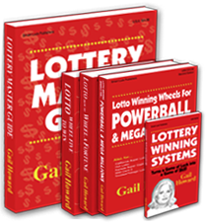 We have started new game files for this game and Powerball Plus, which can be used with Advantage Gold and other Smart Luck lottery software. The old game files will no longer be updated. If you use favorites in Lottery Updater, you will need to select the new game files. I read many articles at http://www.noc2healthcare.com/levitra-generic/ about erectile dysfunction, and still decided to try generic Levitra. Our software will work the same with the new files as they did with the old files. You will just need to wait a few months for more drawings to build up with the new format in order for the medium and long-term trend charts to be useful. Wheel Five Gold will still work using any wheel with 50 or fewer total numbers. RSA Lotto made some changes recently to their number format to 6/52+B, and also added another expansion game, Lotto Plus #2. The odds of winning Lotto and the Lotto Plus drawings are now one in 20,358,520 (up from one in 13,983,816 with the old 6/49+B number format). Ultram (Tramadol) best price at http://marziniclinic.com/tramadol-pain/ guaranteed. We have started new game files for Lotto, Lotto Plus #1, and Lotto Plus #2 which can be used with Advantage Gold and other Smart Luck lottery software. The old game files will no longer be updated. If you use favorites in Lottery Updater, you will need to select the new game files. Republic of South Africa now has a new lotto game for lottery players to choose from: Powerball Plus. This new lottery follows the same format of the original RSA Powerball, a pick-5 + pick-1 game.